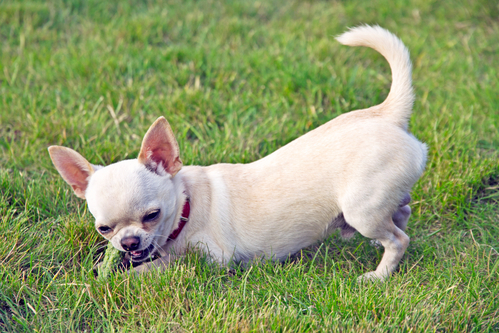 Creating My Own Raw Food Model for Our Dogs - Petpav - Your Online Magazine for All Things Pet! When I researched raw feeding, I learned that the two main models are BARF (biologically appropriate raw food) and Prey. After more than two years of feeding raw to my dogs, I’ve found that the main difference between BARF and Prey are the amount of bone and the vegetables. In April 2013, I transitioned our dogs to a raw diet prepared and delivered by Darwin’s Pet, a local company that ships raw meals nationwide for dogs and cats. Their food includes muscle meat, organ meat, bone, vegetables, fruit, and supplements – all ground together in a yummy dose of healthiness. Premade raw is the way to go if you can afford it. With four big dogs, we couldn’t continue feeding them 100% premade, so I joined a local co-op and made raw dog food at home. Because our dogs did well on the BARF model, I followed the model at home. I immediately came up with one problem – I couldn’t find all the ingredients I needed. The grocery store doesn’t have a large variety of muscle and organ meat. I didn’t live near an Asian supermarket (which tends to have more options). And our butcher was expensive. So I started piecing together a BARF-ish diet for our dogs that I call Franken-BARF. And I feed our dogs premade raw food that is available through our co-op: Steve’s Real Food, Answers, and Vital Essentials are our favorites. Sounds complicated? I thought so too, at first. 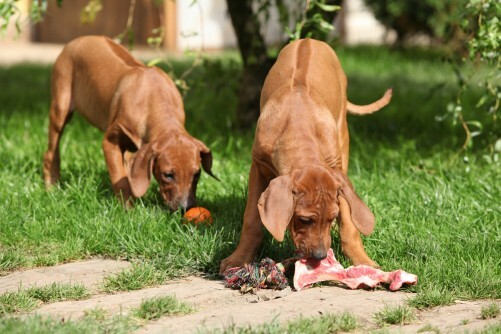 When I started making raw dog food at home, I quickly became overwhelmed, because everyone has advice on what you should and shouldn’t feed your dogs. There are plenty of books, YouTube videos, and websites that offer guidance as well. Information overload happened quickly and then a friend advised me to feed my dogs what they need. We have four dogs that have different needs, and I started adjusting their diets to accommodate those needs. I also began paying attention to their poop (yep, gross, but educational) to learn more about what our dogs need. This daily examination helped me determine that two of our dogs have protein allergies (confirmed by our vet) and one of our dogs wasn’t getting enough fish oil. From there, I made adjustments to their individual meals – and it worked! Where do the Fruits and Veggies Fall in Raw Feeding? They provide nutrients and antioxidants, which help fight cancer. They are an excellent source of fiber, which supports a healthy digestive system. 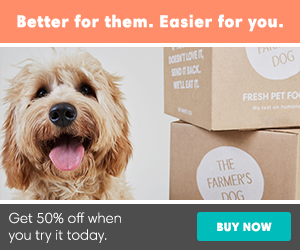 They help a dog feel fuller faster (great for dogs on a diet). They’re a healthy snack, and my dogs love them. While some raw feeders believe fruits and vegetables are unnecessary fillers meant to save money; I disagree. While they don’t replace ingredients in a balanced raw diet, I believe they can boost a diet, making it healthier. Check out the below recipe to get an idea of what a FrankenBARF meal looks like for our dogs. I mix these ingredients in 8-quart bowls before transferring them to Rubbermaid container to be fed during the week. 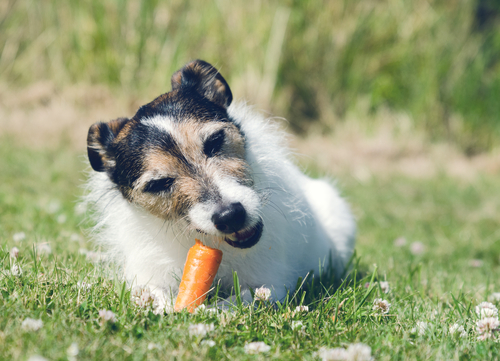 Each of our dogs receives fish oil, a joint supplement, a digestive supplement, and Olewo carrots and beets. I add PetKind canned green tripe or fresh tripe once or twice a week (either mixed in their meals or as an individual meal). 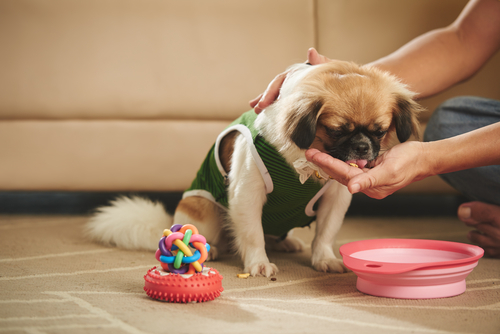 When choosing a raw feeding model, keep your dog’s need foremost in your mind. It’s easy to be distracted by well-meaning friends and strangers, but it’s important to remember that you’re an expert in your dog.